Vatican Point Break i Roma, Italia: Bestill nå! Vatican Point Break is a small and charming guesthouse a few steps from the Vatican Museums, Saint Peter’s Basilica and from Castel Sant’Angelo. 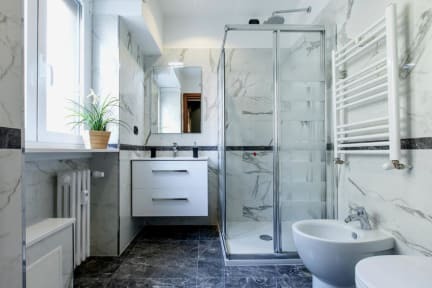 Located in the centre of rome, offers for rent FIVE elegant and ample rooms furnished with taste and equipped with all mod cons. Thanks to its strategic position you will be able to reach easily each site of interest in Rome, both walking or using the Metro system. We are in the middle of two Subway station. 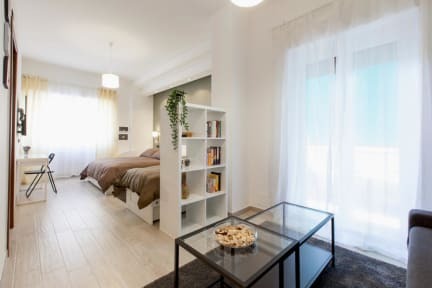 The subway station Cipro is at 350 meters, which makes the apartment easy to reach from the airports of Rome and everywhere in the eternal city. Located in the Prati district, nearby are restaurants, bars, pharmacies and every kind of shop. Our warm and friendly staff will make your stay an unforgettable travel experience. The rule our staff is: “make yourself at home”. We will be more than glad to provide you with all the information you need to enjoy Rome and its beauties, to discover its secret corners and to stay, if you want, outside the usual tourist routes: not to be missed small restaurants, night pubs, pizzerias, ice cream parlors.